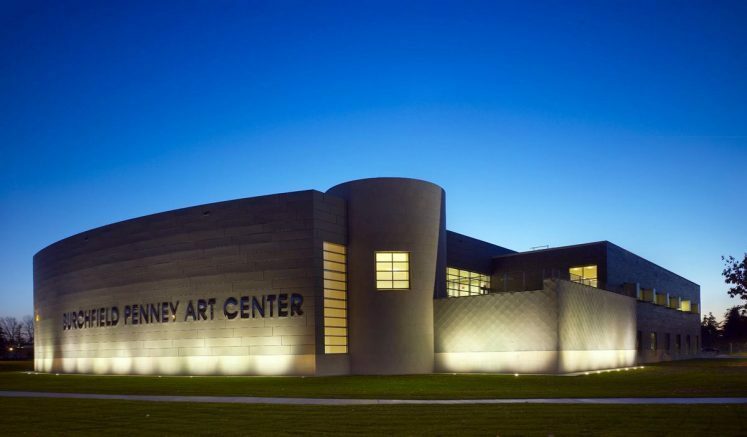 Burchfield Penney Art Center photo by Biff Henrich. The Burchfield Penney Art Center, 1300 Elmwood Ave., Buffalo, is excited to present its first annual Entropy: THE POETEXPO, a new event in their long-running Poets and Writers Series. While the typical format of the series is to showcase one featured reader, the POETEXPO takes a new approach by combining four featured readers, a hands-on workshop, youth writers and more. Besides performances by featured readers, there will be plenty of poetic activities. The featured readers – Megan Kemple, Julio Montalvo Valentin, Robin Jordan and Eve Williams – are all active representatives of Buffalo’s literary world. Valentin served as a longtime editor before moving on to his current project, converting a school bus into a traveling poetry caravan. Jordan works as the Just Buffalo Writing Center coordinator, offering creative writing workshops and reading opportunities for teens. Kemple and Williams recently returned from Chicago where they represented Buffalo and helped us place in the Top 10 in the 2018 National Poetry Slam. Williams’ Facebook page, Unfiltered, has garnered national attention and several of the poems she has uploaded to the page have gone viral. Besides performances by the featured readers, there will be plenty of poetic activities. The Western New York Book Arts Center, or WNYBAC, will be offering a free Pamphlet-Stitch Journal Workshop where guests can learn how to make their own simple, take-home journal. The Just Buffalo Writing Center will present a young writers showcase featuring poems from local high schoolers and young college students. Guests will also have time to browse the variety of literary arts vendors at the event. Entropy: THE POETEXPO is an opportunity for the entire community to come out and get a taste of Buffalo poetry. You can find a full event schedule online at www.burchfieldpenney.org/events. This event is free with gallery admission and open to the public. Be the first to comment on "Burchfield Penney to host very first POETEXPO"